Is this Snake Venomous? What to Look for when Dealing with Snakes. Despite the inherent fear that many people face, when a snake crosses their path, wildlife respecting people will often ask themselves, “How do I know if this snake is dangerous or harmless?” As snake conservationists, we appreciate and respect the people that ask these questions, before they start swinging the shovel. We wanted to write this article to help the average person identify some of the telltale characteristics of our indigenous venomous snakes, and direct them toward more comprehensive resources for identification in their own back yard. As always, we will include photos that can better demonstrate these characteristics as well, and give folks a basis for what these critters will look like. We will cover some of the most commonly discussed attributes, that many people have heard of, and use as the occasion arises. However, before we get started, let’s take a look at the photos below, and see if you can pick out which snakes are venomous, and which are harmless…. So, do you think you know? Did you utilize all your knowledge regarding triangular heads, elliptical pupils, and color patterns? Are you ready for the answers? Here we go! Photo 1: This is a harmless Northern Water snake. Did we fool you? Water snakes and some other species, do have somewhat triangular-shaped heads, and can even flatten them out more when threatened, making themselves look more intimidating. 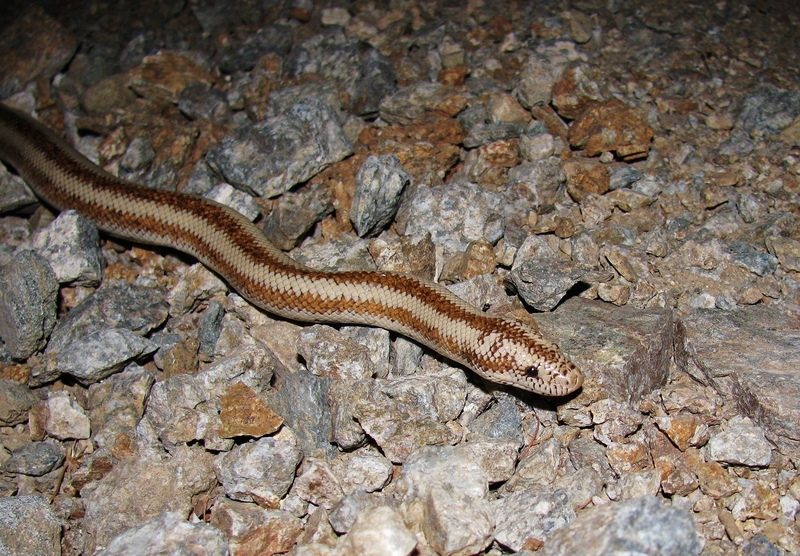 Photo 2: This is a harmless Sonoran Shovel-nosed snake. It may sport the same red on yellow pattern as the venomous Coral snake, but this little snake makes its living eating insects, and could no sooner hurt a human, than it could sprout wings and fly. We can also tell that this snake is NOT a venomous Coral Snake, because it does not have a black head, and its red and black bands do not go all of the way around the body, like the Coral Snake’s do. 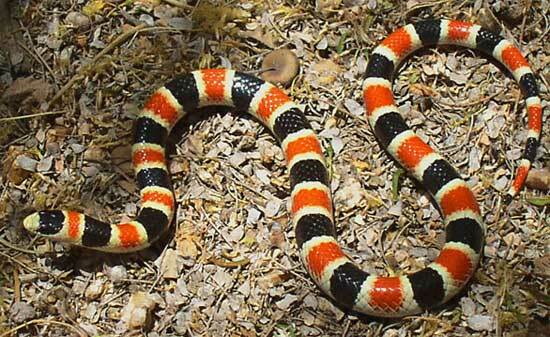 If you look closely, you will notice that the black and red bands fade to yellow toward the belly of the snake. Photo 3: This is a harmless Lyre snake. It has elliptical pupils, but poses absolutely no threat to humans. Photo 4: Wow this one looks dangerous, right? Well, I hate to disappoint, but this is yet another harmless snake. It is a Hog-nosed snake, and one of the better fakers in the snake kingdom. They can flatten their neck, almost like a cobra, and even have some enlarged teeth in the back of their mouths. However, even though they are technically considered “rear-fanged venomous” these guys are very popular in the pet trade, and again, do not make a habit of, or have the proper equipment, to hurt people. Obviously, there are some snakes in the U.S. that do pose a threat to humans, and we want to highlight them as well. However, we wanted first, to help you understand that many snakes are needlessly killed because they are confused for their “dangerous” relatives. With a little time and research, we are confident that you will be able to identify which snakes in your area can pose a threat to humans versus those that are not only harmless to people, but that are great to have around your home. Hopefully the photos above have shown that there may be exceptions to every “rule”, but our intentions are not to cause more confusion. Despite the photos you just saw, many of the common identification tricks, are still “generally accurate”. We are not asking you to completely forget everything you thought you knew about venomous snakes, but are asking you to build upon your current understanding, by adding a little more knowledge to it. Since there are vastly more harmless snakes in the United States than there are venomous ones, perhaps a good place to start, is by identifying the venomous ones. There are four general categories of venomous snakes in the U.S. 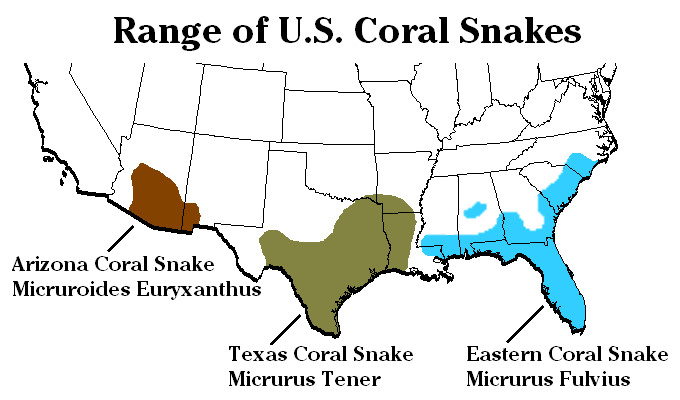 They are the Copperhead, Water Moccasin (or Cotton Mouth), the Coral Snake and the Rattlesnake. Let’s take a quick look at these snakes, to get a general idea of what they might look like, when we see one in the wild. 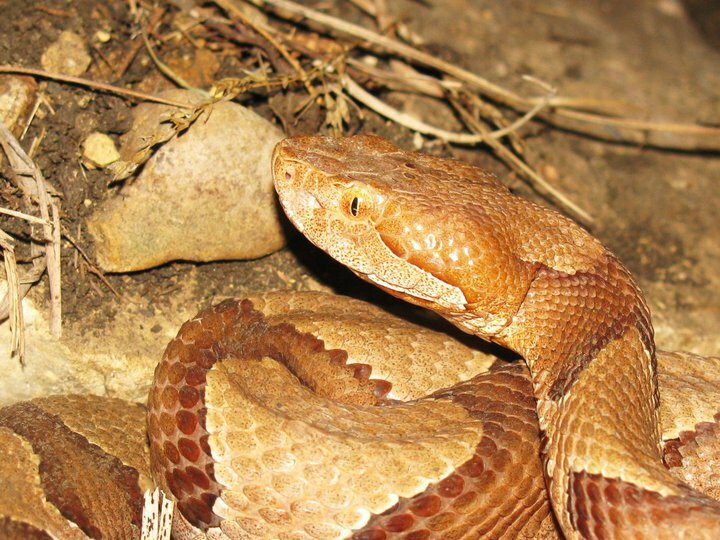 Copperheads are fairly common in certain parts of the country, and because of their large geographic range, account for a fairly large percentage of venomous bites each year. That said, a Copperhead bite is very rarely life-threatening, when proper medical treatment is administered. 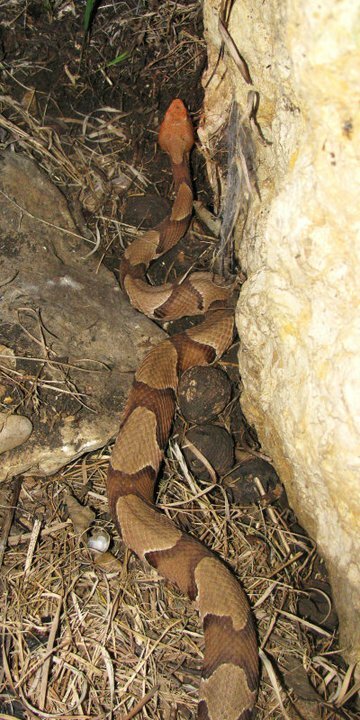 Copperhead venom is relatively weak, compared to our other native venomous snakes. 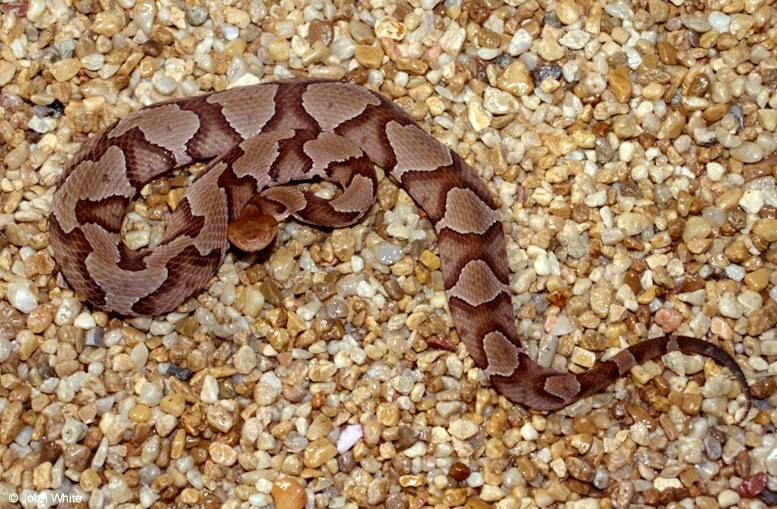 Copperheads are generally identified as a medium-sized snake with an alternating pattern of tan bands separated by darker brown or rust-colored, hourglass-shaped crossbands. There are a handful of subspecies in the Copperhead group, so we’ve added the pictures below to help with identification. Though we have better close-up photos of the snake below, this picture better captures what you might see in the wild, and also better highlights the hourglass-shaped crossbands we referred to earlier. We found this Copperhead on a trip to Kansas and Missouri. I hadn’t seen one in the wild, since I was a kid living in Arkansas, it was a very welcome reunion. Southern Copperhead I found in Missouri. Below is a Northern Copperhead. Though it looks similar to the photo above, it becomes apparent that there can be some variation in color and pattern, and also in photography skills. Haha! Last is the Broad-Banded Copperhead. Though it lacks definition in the hourglass pattern, you see that it still resembles its close relatives above. 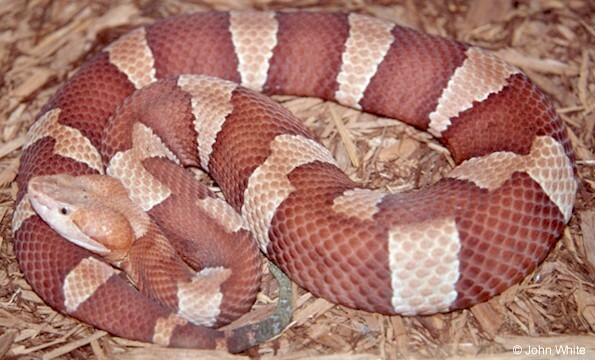 There is also one other subspecies of Copperhead, called the Trans Pecos Copperhead in Texas, which looks very similar to the Broad-Banded below. 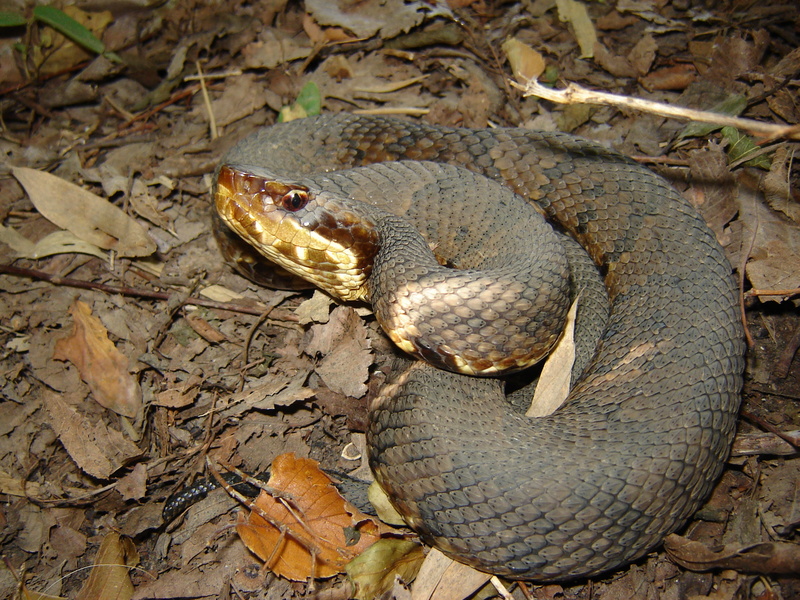 The Water Moccasin (also known as the Cottonmouth) is closely related to the Copperhead, and they are often found in the same geographical ranges. 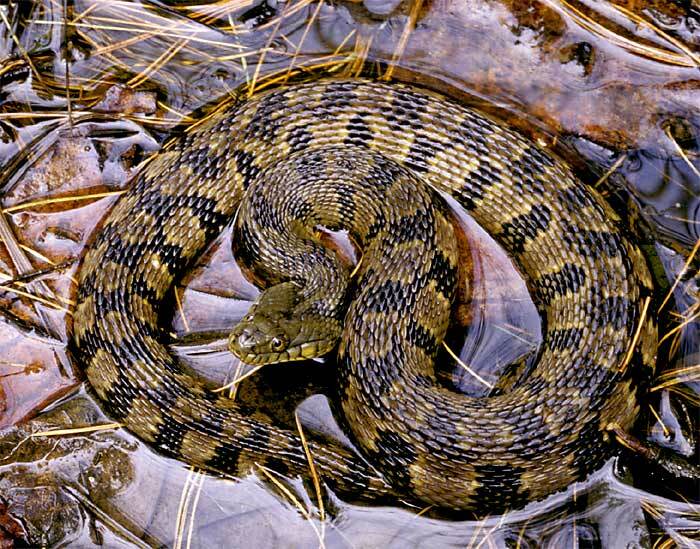 The Water Moccasin, however, is much more dependent on an available water source where it can catch some of its favorite food items like fish and frogs. They are typically darker in color and more muted in pattern than the Copperhead, but young Cottonmouths are vibrantly patterned, and then lose much of their contrasting pattern as they age. 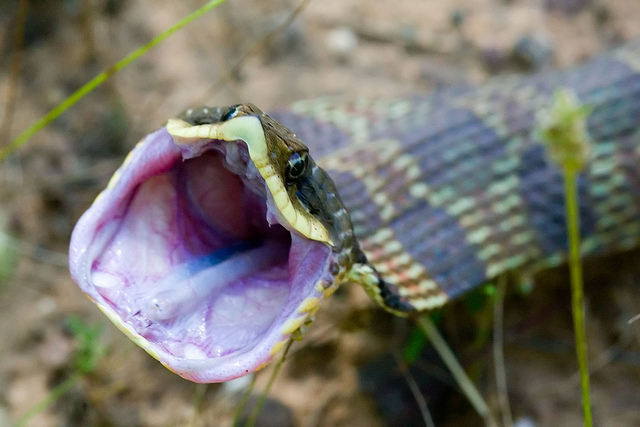 One of the most difficult times people have with separating harmless from venomous snakes, occurs between Cottonmouths, and the wide variety of Water Snakes (refer to the first photo in this article). Both species love the water, and can be quite similarly patterned. Their head shape can look triangular – though the Water Moccasin’s head is much more prominently triangle-shaped, and they are both relatively heavy-bodied (almost fat looking) snakes. The one major difference, which we will cover a bit later, is pupil shape. While Water Moccasins, as well as Rattlesnakes and Copperheads all have elliptical (vertical – or cat eye-shaped) pupils, Water Snakes do indeed have round pupils. If you need this characteristic to help you ID the snake, however, you may be a bit closer to a potentially venomous critter, than you want to be, so please exercise caution. Zooming in with your camera or using binoculars can come in quite handy here. 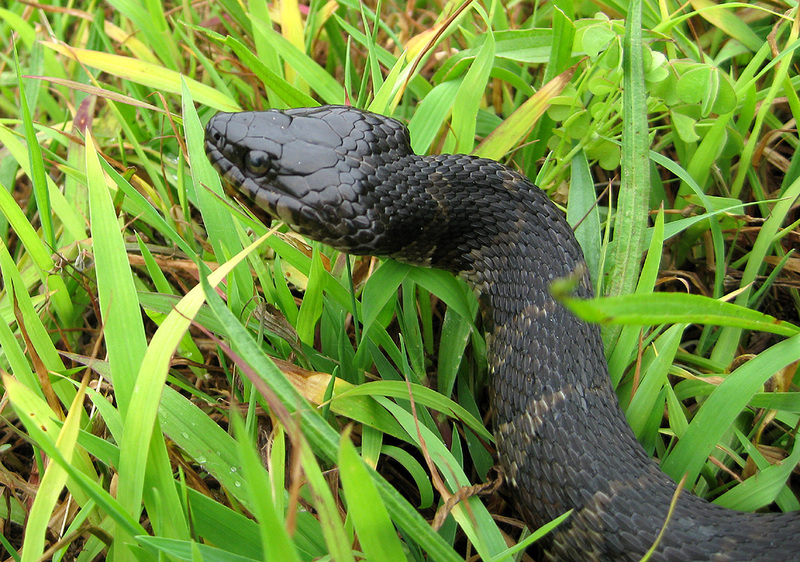 The Water Moccasin has perhaps the most notorious reputation in the U.S. for being overly aggressive. There are more urban legends about these “demons” than any other snake. We’ve heard everything from them chasing people, to jumping out of trees on folks, and even climbing into boats to bite hapless fishermen. In our experience, and in the experience of our many snake-expert friends, this reputation is completely undeserved. These snakes are as likely to flee from humans as pretty much any other snake. Below is a photo of an adult Western Water Moccasin. You’ll notice that it is much darker, and lacks much of the pattern of the young one above. This photographer was able to get the photo I was hoping for, and if you look closely, you can even see the elliptical pupil, differentiating it from the round pupil of the Water Snake. 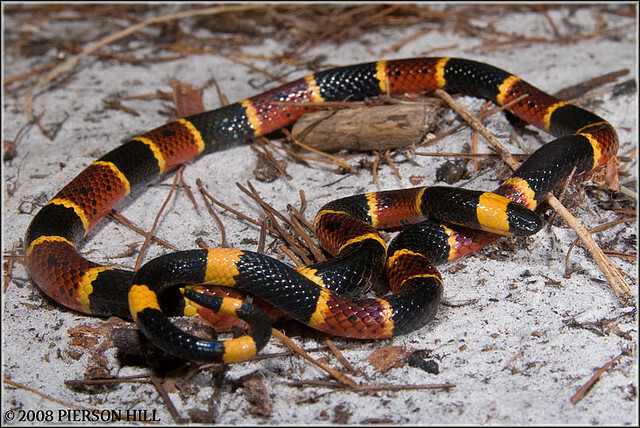 Although Coral snakes are elapids, and pack a potent venom, they are quite cryptic, are quick to avoid interaction with humans, and are the cause of very few venomous bites in the United States each year. Coral snakes can be identified as a relatively small, tri-colored snake, with a black head, and yellow bands that separate black and red bands. These bands will also continue all the way around the snake – not stopping at the belly, as with most of the harmless tri-colored snakes. Remember the rhyme “Red touches yellow, kills a fellow. Red touches black, is a friend to Jack.”, and you will be well on your way to identifying friend from foe in the U.S. However, please note that this rhyme will not always work in other countries. We took this photo in Southern Arizona. The snake was pencil-thin, and would not hold still for anything. Several of us surrounded this snake for a 15 minute photo-shoot, and despite being nose-to-nose with a “cold-blooded killer”, we were in no more danger than we would be in our own kitchens. They simply pose very little threat to humans unless picked up. 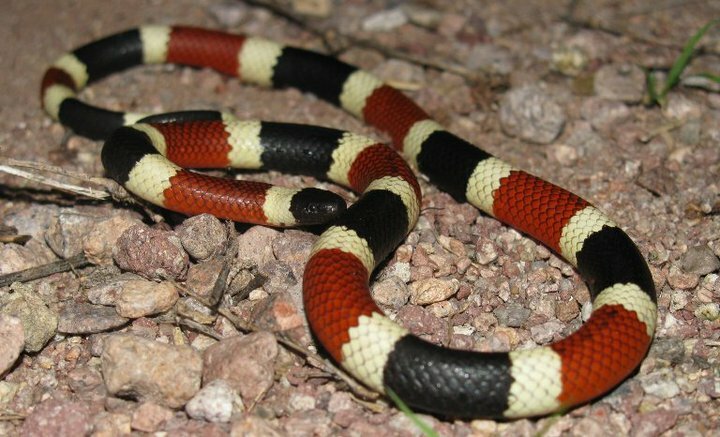 The Eastern Coral Snake, has the same pattern sequence as the Arizona Coral, but can get a bit bigger, and is more likely to have black speckling on its red and yellow bands, giving it a less contrasting pattern. Even if you do determine that you have found a Coral Snake, there are very few instances, when killing such an animal, is the best option. They are so incredibly shy, that accidental bites (instances where someone was not picking up or harassing the animal) are almost unheard of. 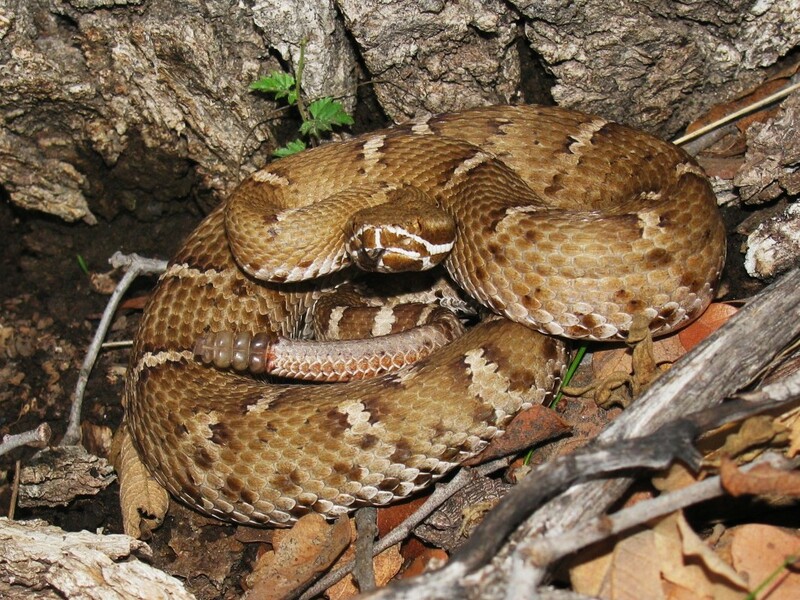 There are some 32 species of rattlesnakes, with even more subspecies. This family of snake is wide-ranging and diverse. They can differ drastically is size, habitat, color and pattern. However different they may be, rattlesnakes still have one defining characteristic in the United States, that is identifiable both by sight and sound. This of course, is the rattle. In the U.S., they’ve all got them. Babies have them, females have them, Pygmy Rattlesnakes have them, and so forth. The tail is your best indicator, in identifying if a snake is a rattler or not. 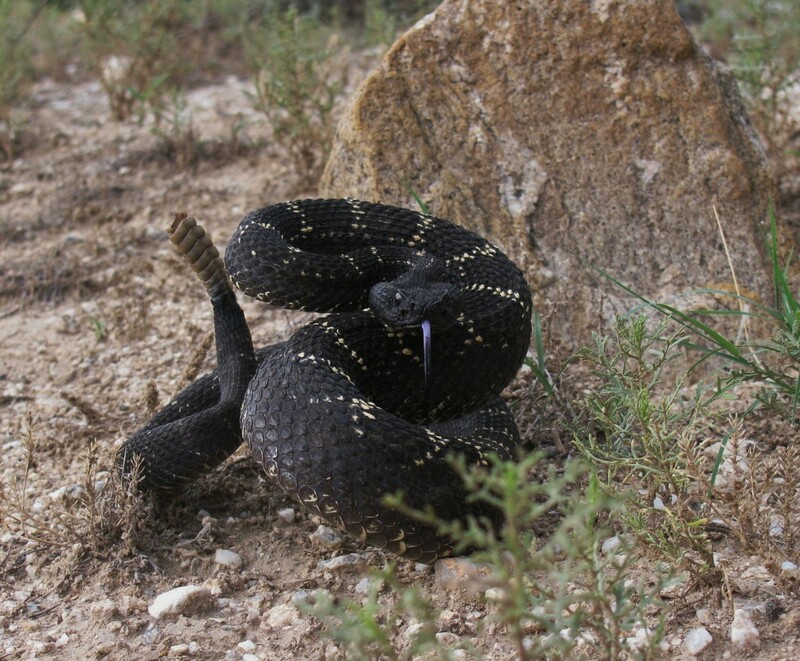 There are no rattlesnake/harmless snake hybrids roaming the hills that look harmless, but have the venom of a rattler. There are plenty of urban myths out there to suggest otherwise, but rest assured, they are not based in fact. 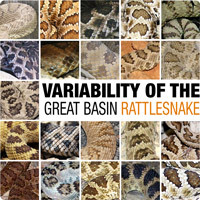 We’ll go ahead and post several photos of various species of rattlesnakes, showing that they all have that one definitive characteristic in common. 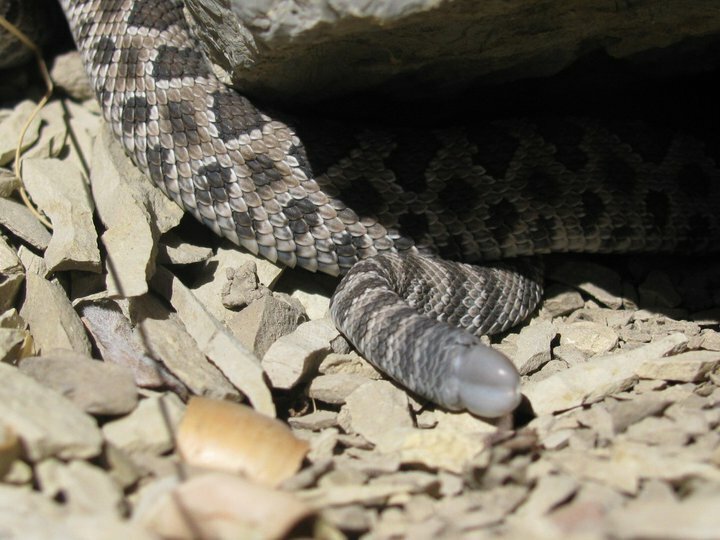 Newborn Rattlesnake – Notice that it is born with a button of a rattle. 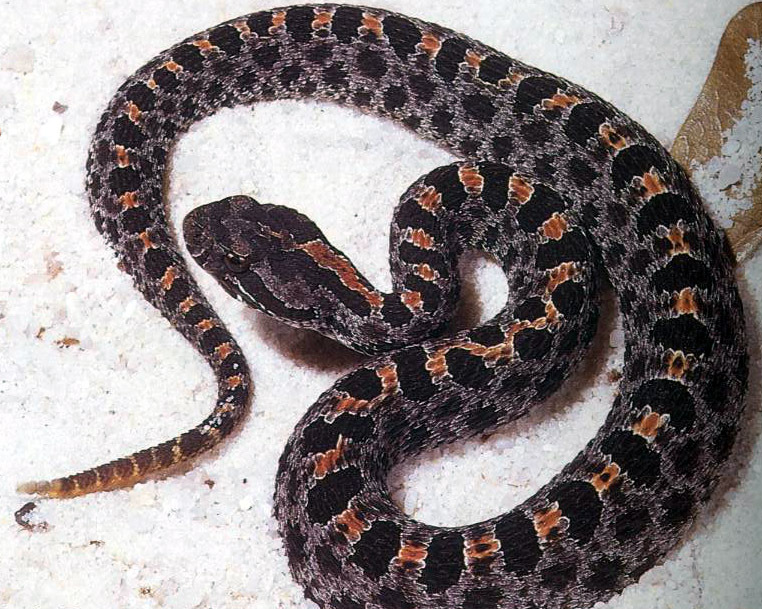 The small rattlesnake below is a member of the Pygmy rattlesnake family. They do have small rattles, but they are certainly present. 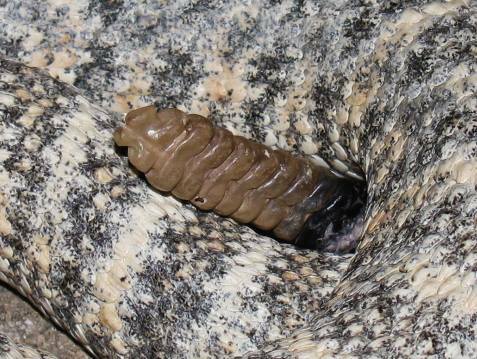 The photo below, is for my friend Kathy, who lives in Florida, and was told that Pygmy Rattlesnakes do not have rattles. The answer is yes, they do have rattles. However, their rattle is even more diminutive than the snake, and may only be perceptible from a range that would put you closer than you want to be. These rattles are so small, that they are sometimes almost inaudible. Truth be told, we have seen a couple of photos of these critters that have had an injury or deformity that has left the snake rattle-less. This is the exception though, not the rule. If you come across a snake, and you truly think it might be a rattlesnake, utilize the identification strategies we will discuss below, to determine if it is harmless or not. Now that we have more or less covered what our 4 venomous snake families in the U.S. look like, perhaps we can spend a little time looking into those characteristics that many people use, to help them identify a venomous snake from a harmless one in the wild. 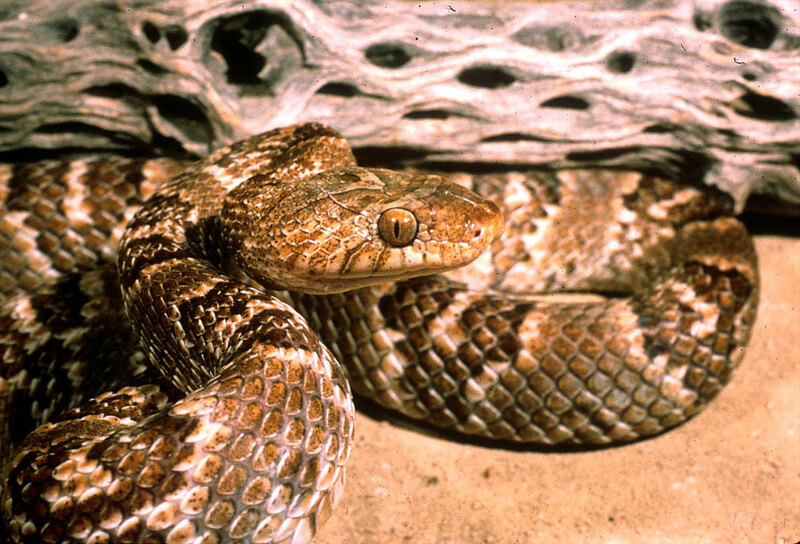 Venomous snakes have a triangular-shaped head. There are a couple of things to consider here. The first, which we have already discussed a bit, is that some non venomous snakes can also have triangular heads, leading to the needless killing of a harmless snake. Secondly, if you look at the Coral Snake, you will notice that despite its venomous nature, its head is completely rounded, like any other harmless species. This head shape characteristic is a good start to narrow things down, but we still need a couple of steps for proper and safe identification. Let’s take a look at the photos below, and see if we can determine if they are safe or venomous. One could argue that this snake has a triangular head. Your first impulse – especially since it is in a defensive position – should be to stop, give the animal a little space, and make a couple of quick observations. 1. Does the snake have a rattle on its tail? No – So it is not a rattlesnake. 2. What shape are the snakes’ pupils? Round – So in addition to secondary proof that it is not a rattlesnake, you are also safe to conclude that the snake cannot be a Water Moccasin or Copperhead either. However, Coral Snakes do have round pupils, so we’ll go one step further. 3. Is this snake black, red and yellow? No – So the animal is not a Coral Snake. Your conclusion: This snake MUST be harmless!! 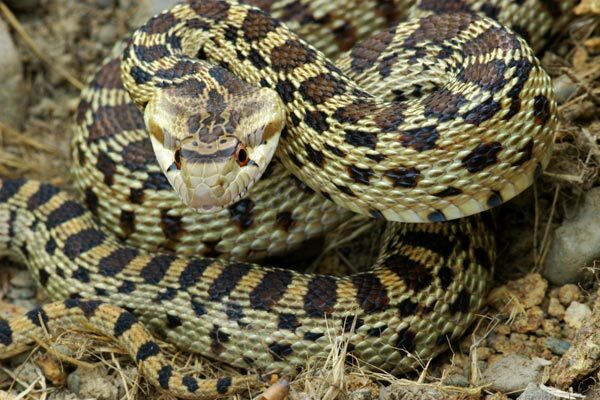 This is, in fact, a harmless Gopher Snake. Am I harmless or venomous? Did you go through the steps from our last photo? What do you think? Let’s walk through it again. 1. Does the snake have a triangular-shaped head? Yes, from this angle it kind of looks like it does. We can’t make a positive ID yet, so let’s keep going. 2. Does the snake have a rattle on its tail? Unknown – We can’t see a rattle from this angle, and we don’t want to pick the snake up to find out, so we’d better keep going through our process of elimination. 3. What shape are the snakes pupils? Round – Now we know that this snake is not any of our North American pit vipers. We’ve eliminated Copperhead, Water Moccasin and Rattlesnake. 4. 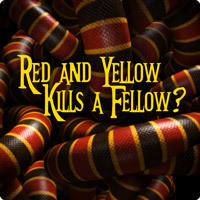 Is the snake black, red and yellow? Yes, it is. “Oh crap! Is this a Coral Snake?” Let’s ask one more question. 5. 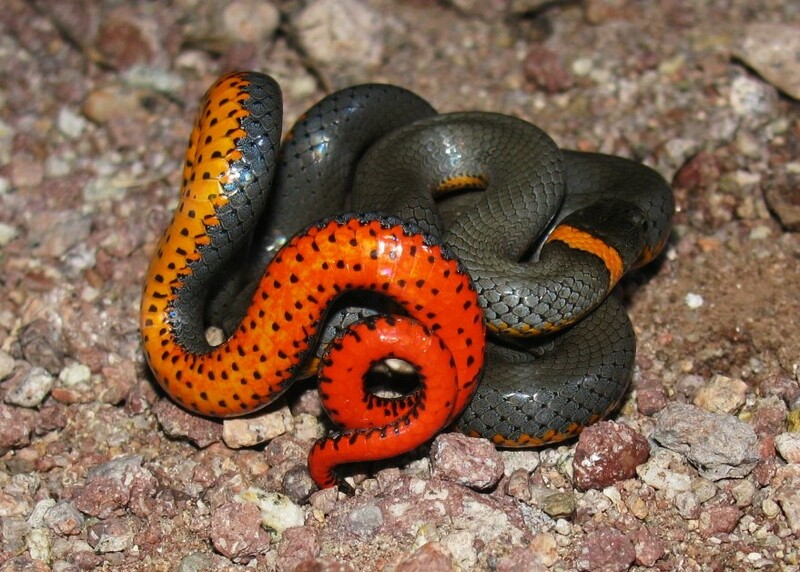 Does the snake have a solid black head, and black and red bands, separated by yellow bands? No. Thank goodness! This is not a Coral Snake. Your conclusion: This snake is NOT venomous! 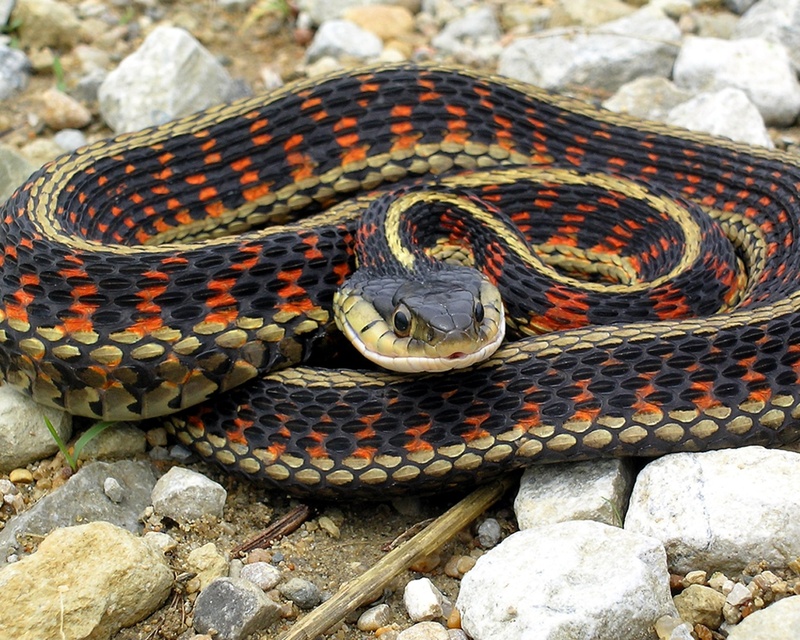 It is actually a harmless, Red-sided Garter Snake. We already know that this statement is not completely accurate. There are some harmless snakes with vertical pupils, and the venomous Coral Snake has round pupils. However, since most snakes you will come across with vertical pupils will be venomous, it is another good characteristic to look into, when going through your process of elimination to identify that snake you just encountered. You already have a good start to the questions you will ask yourself, but let’s try to determine if the following snakes are venomous or harmless. 1. What shape are the snake’s pupils? Elliptical – This snake cannot be a Coral Snake. 2. Does the snake have a rattle? No – So this cannot be a rattlesnake. 3. Does the snake have a triangular-shaped head? Kind of rounded, but a little pointy – It is unlikely that this snake is a Copperhead or Cottonmouth. 4. Is the snake slender, or heavy-bodied? Fairly slender – It is again, unlikely that this snake is a Copperhead or Cottonmouth. 5. Does the snake have facial pits (all American pit vipers – rattlesnakes, Copperheads and Water Moccasins have them) between its eyes and nostrils? No – This snake is not a Copperhead or Water Moccasin. Your conclusion: This snake is harmless. The photo above is a Night Snake. 2. Does the snake have elliptical pupils? Yes. So it must not be a Coral Snake. 4. Does the snake have a triangular head? Yes it does – This one could be venomous. 5. Does the snake have facial pits between its eyes and nostrils? Yes it does! Your conclusion: This snake is definitely venomous! Exercise caution around this animal. At this point, our primary question is answered. We know the snake has a bite that could very well be of medical significance. We will treat this snake, like any other venomous snake, regardless of its specific species. If, however, you are still anxious to know what family it belongs to, now would be the time to go back to what we know about venomous snake colors and patterns. 6. Are Copperheads or Water Moccasins white? No they are not. – So by process of elimination, this must be some type of rattlesnake. 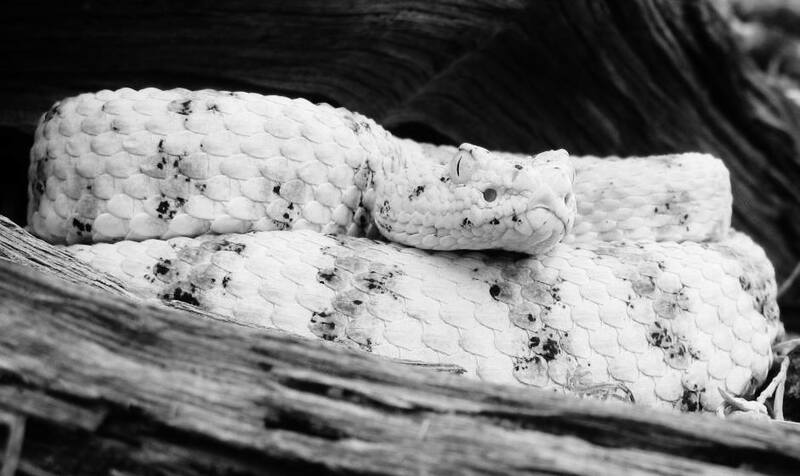 The photo above, is in fact, a white phase Speckled Rattlesnake. We used this photo because we really like it, but it also offers a great view of those facial pits we referred to earlier. The nostrils are quite small and nearly indiscernible in the photo. However, that large, circular pit between the eye and mouth of this snake, is unmistakable. While true that rattlers often shake their tails when threatened, this observation is not enough to properly identify a snake. There are actually several species of snake, that when bothered, will assume a defensive position, strike, and even shake their tails. We have seen this behavior in many species including Corn Snakes, King Snakes, Racers, Gopher Snakes, and Milk Snakes, to name a few. If you see this behavior, instead of assuming it must be a baby rattlesnake that hasn’t grown a rattle yet (we already know rattlers are born with one segment of a rattle), it is best to utilize the process of elimination method that we’ve been practicing above. After-all, do you really want to get rid of a King snake that may eat numerous rattlesnakes over the course of its life? Below is a video of a Milk Snake exhibiting this very behavior, to give you an example. Two of your very best tools in determining if a snake is safe or dangerous, are field guides and range maps. The resources generally come with great photos or illustrations that you can use to help identify all of the snakes you might come across in nature. Even better, many of these guides are geographically specific, so you can find a resource that applies specifically to your state. It may not make sense to study up on the snakes of Mississippi, if you happen to live in Oregon. Finding these localized resources means much less studying for you, and who wants to anxiously thumb through 500 pages of snakes, while attempting to identify the one that is sitting three feet away from you? Additionally, these resources can be great in helping you quickly eliminate certain possibilities. Range maps will tell you specifically which animals exist in your state. If you know from the start, that Water Moccasins do not live in your state, you don’t have to worry about the snake you are looking at, being one of them. As an example, let’s say you live in Utah, and you find a red, black, and cream-colored snake. “Goodness, cream is kind of yellow, and I can’t remember that dumb red/black/yellow rhyme in the heat of the moment”. 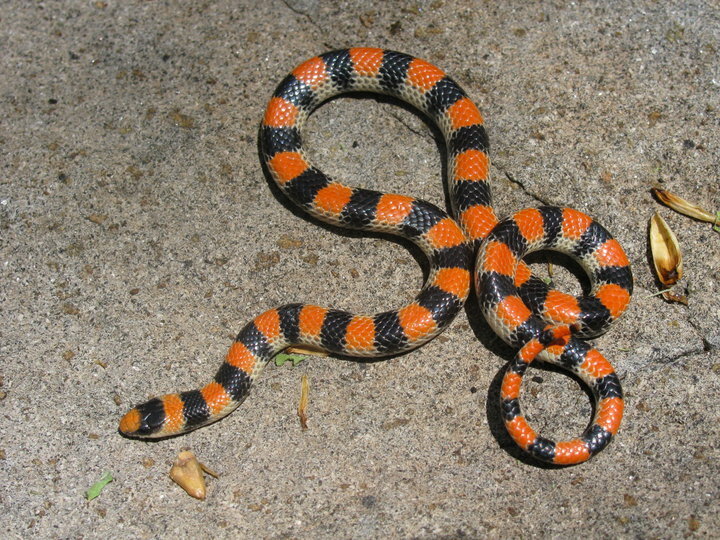 You really don’t want to risk having a Coral Snake in your back yard, right? Well, if you look at the range map below, you will see that Coral Snakes don’t live in Utah at all, so you needn’t ever worry about one being in your back yard. With a little more research, you’ll also find that Copperheads and Water Moccasins don’t live in Utah. Knowing that the only dangerous snake you might come across in Utah, will have a rattle on the end of its tail, just made your job much more simple! Field guides will often contain great information and details regarding other types of wildlife as well, turning your hike into an educational adventure. If you do this, you will find an array of free, and readily available resources regarding the snakes that call your back yard home. As with any website or blog, not all sites are created equal. If this SnakeBuddies blog has taught you anything, it is that any dummy can publish an article on-line, and make it available to the masses. Don’t just pull up the first link you see! Go through a few of them, and utilize the one that is the most comprehensive and reliable. What do I do, when I find a venomous snake? Let’s say that you’ve found a snake, you’ve gone through our process of elimination exercise, and you find yourself looking at a definitively venomous creature. What do you do next? Your next move should depend greatly on the circumstance. Did you find the snake in your bathtub, or was it in the mountains? Was it entering a preschool, or was it swimming in a lake? Secondly, put some thought into what options are available to you. Will you and others be safe, if you simply move away from the snake, or is it absolutely imperative that the snake be moved away from people? If the snake needs to be moved, is there a local reptile rescue or pest control company that will collect and relocate the animal, or do you have to do it yourself? We feel obliged to say, that dealing with any venomous snake, should be left to a professional, unless there is absolutely no alternative. Things can get crazy and super dangerous very quickly, when inexperienced people attempt to deal with snakes. If you live in a place where venomous snakes are relatively common, we encourage you to look up local snake relocation experts now, and keeping their phone numbers close by. A very important consideration, when dealing with any snake, is whether or not the animal is protected under state, or even federal law. It is illegal in several states to kill, or even touch certain snakes. If you kill a protected species, don’t be surprised if instead of getting a hero’s welcome, you get slapped with a hefty fine. Please note that far more people are bitten every year while trying to catch or kill a snake, than the people who simply walk the other way. If you must deal with the snake yourself, please do so safely, and without putting any part of your body within striking distance. Although we encourage you to always seek an alternative to killing the animal, if you feel like there is no other option, consider using a method that keeps you far from the animal. Also note that even after decapitation, a snake is not immediately “dead”. If you pick up a freshly decapitated head, you could still very easily be bitten. Please remember that snakes – even venomous ones – play a very important part in our environment and ecosystem. Now that we’ve done some homework, and feel more confident in our venomous/harmless ID skills, let’s put this new-found knowledge into practice with a little quiz. 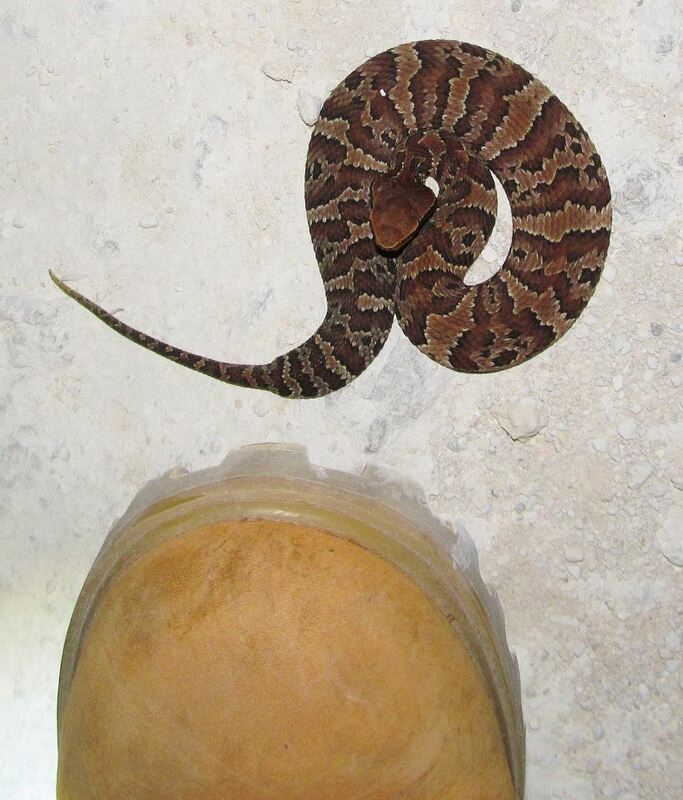 We’ll post several photos below, and ask you to identify which are harmless and which are venomous. I’ll post the answers underneath. No peeking, and let us know how you did. Alright, pencils down! Are you ready to see how well you did? Remember to post your scores, and which ones tripped you up. If you’re still having trouble, do a little more research, and you will get there. Photo 1: Harmless – Round head and eyes, mean it’s not in the viper family, but the pattern is also wrong for a Coral Snake. It is a Ground snake. 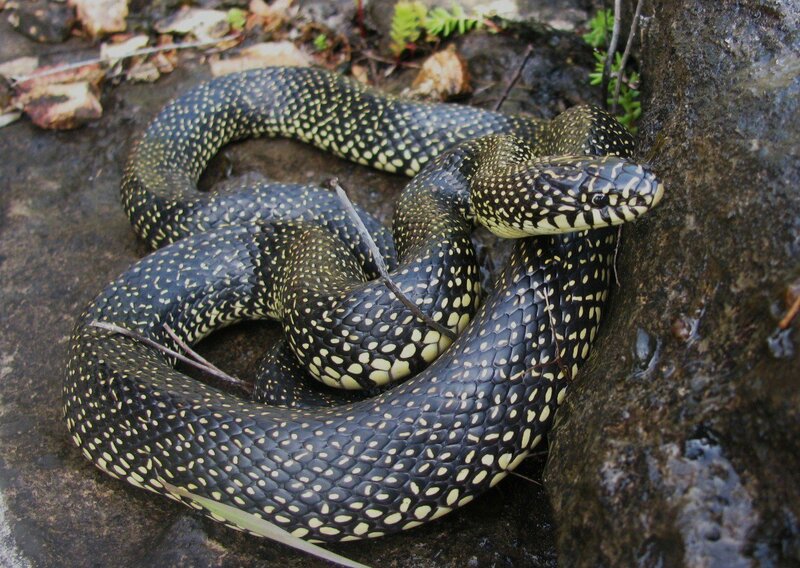 Photo 2: Harmless – This Speckled Kingsnake has round eyes and head, and may occasionally feast on its venomous relatives. Photo 3: Venomous – You can just make out this Sidewinder’s rattle in the background, but should have still noticed the elliptical pupils, big head, and those heat sensing pits. 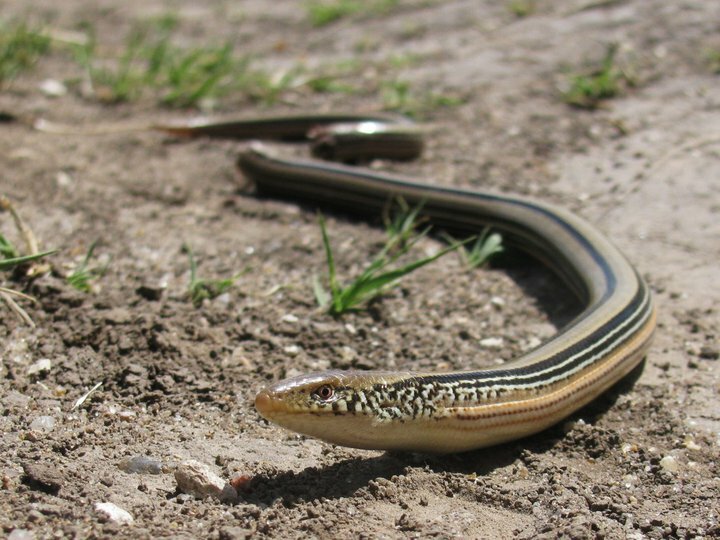 Photo 4: Harmless – This Rosy Boa shares habitat with plenty of venomous critters, but the round eyes, and color pattern tell you it’s safe. Photo 5: Venomous – Did you notice the heat pit between the eye and the nostril? The eyes, head shape and color pattern belong to the Copperhead. Photo 6: Harmless – Nature loves to warn us of danger, by dressing its poisonous or venomous plants and animals in bright colors, but this Regal Ring-neck Snake is a faker, and is also a snake-eater. Photo 7: Harmless – The Great Plains Rat Snake has a pattern similar to some rattlesnakes, but lacks the rattle, the elliptical pupils, and the triangular head. 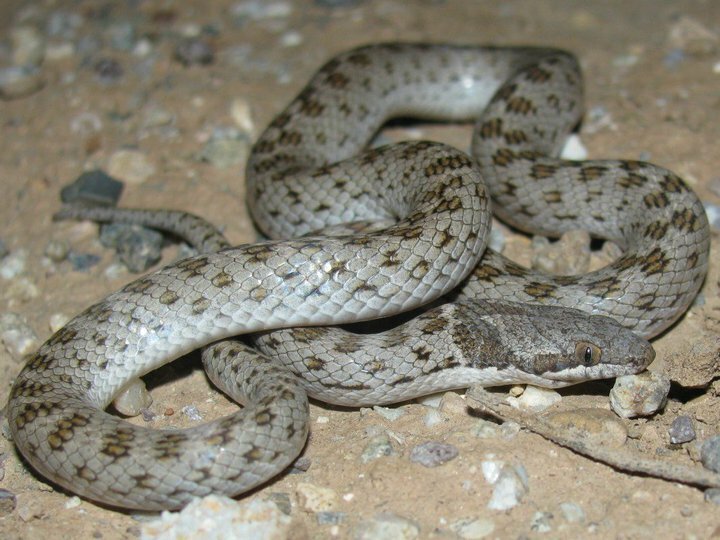 Photo 8: Harmless – Not only is the critter non venomous, it is also non-snake! This is a Legless Lizard we found in Kansas. Notice the broken-off tail in the background? 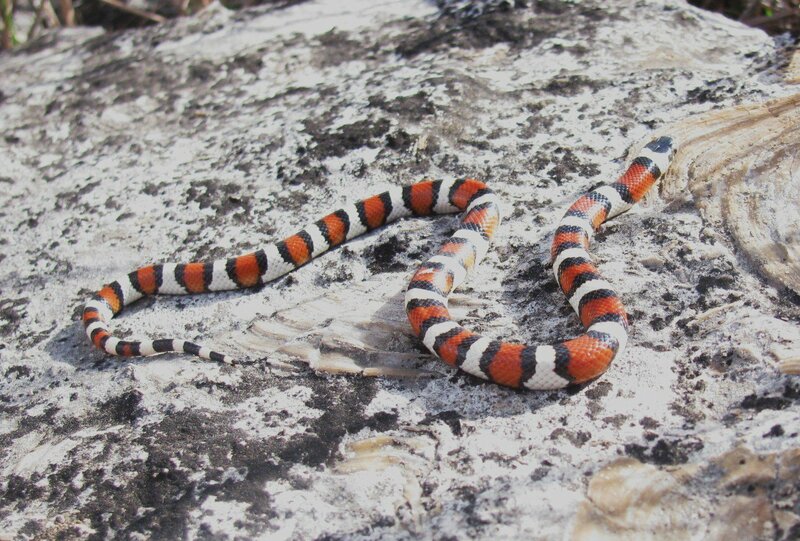 Photo 9: Harmless – This little Central Plains Milk snake is beautifully patterned like a Coral Snake, but the red bands are touching black, not yellow (or white in this case). Photo 10: Harmless – This fat body, triangular head, and ROUND eyes, belong to a Diamondback Water Snake. Photo 11: Venomous – Not all Water Moccasins will gape at you, but you can still correctly ID them, if you look for their elliptical pupils and facial pits. 10-11 points: You know your snakes! Get out there, and put your knowledge to use. 8-9 points: Good job! You’re getting the hang of it. 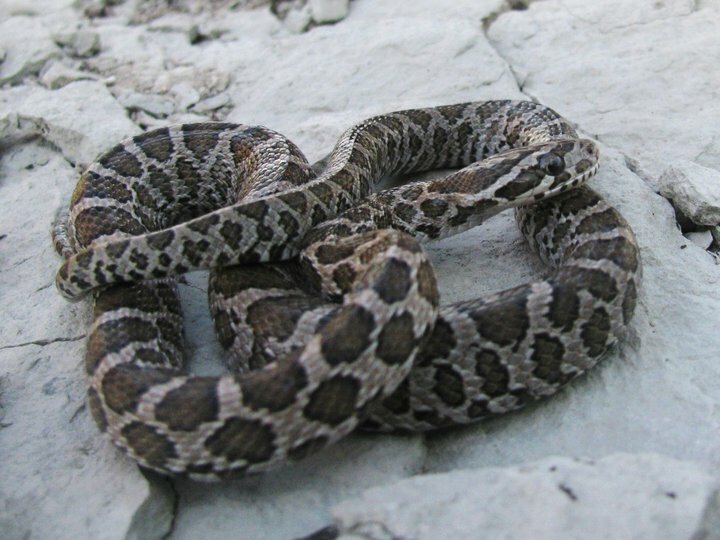 A field guide could be an excellent hiking companion, to help you with tricky snakes. 6-7 points: Hmmm – Someone was sleeping in class. Please re-read the blog, and practice up a bit more before going out to ID a snake. 0-5 points: Welcome to the world of birding! Snakes may not be your thing, and that’s ok. Let’s just stick to identifying creatures that can’t put you in the hospital if you misidentify them. Thanks for stopping by and reading our blog! We realize that this article was entirely too long, but wanted to give you folks useful resources and guidelines. We feel better knowing that you will now have the confidence to know when it’s okay to get close to a snake, and when you should call for backup. Though this article was still far from comprehensive, you now have what you need to be safe. Misinformation and lack of education, can prove more dangerous than that Cottonmouth climbing into your boat. Take care, and be safe out there! This entry was posted in coral snake, great basin rattlesnake, Ground Snake, harmless snakes, King Snake, Milk Snake, non-venomous, rattlesnake, Shovel-nose Snake, Snake Identification, Snake Quiz, Snakes, venomous and tagged Agkistrodon piscivorus, Copperhead, Coral snake, Cottonmouth, harmless vs. venomous snakes, Rattlesnake, Snake, Snake identification, snake safety, Venomous snake, Water Moccasin, Water Snake. Bookmark the permalink. 93 Responses to Is this Snake Venomous? What to Look for when Dealing with Snakes. Thanks Jamie, this was really informative! I got a 10! Excellent article! thanks so much! This was wonderful! Thank you so much for putting this out there. It is a great tool that I will be sharing with everyone who’ll read it. And I got a 10. Missed the Regal Ring-neck Snake and I should have known better. I KNOW the rhyme but don’t understand why I have a bigger fear of coral snakes than I do of rattlers, cottonmouths and copperheads. I suppose because I’ve never actually seen a coral snake in the wild and I have the others – and a lot more closely than I was comfortable with. Thanks again! Thank you for the great information. The more I learn about snakes, the safer I feel when I see one on our property here in southern New Mexico. Great article! I missed #9 and #11…shame on me! Thanks, my mother had me scared to death of all snakes when I was small. Now I know most snakes in our area. We have mostly garter snakes around our house and they are harmless. Great lessons! Thank you! I got them all correct. P.S if u know how to take care of them . Thanks for the comment. I love venomous snakes as well, and go out of my way to find them in the wild regularly. I have found that I would much rather appreciate them in their natural habitat, than in a glass box, and satisfies my desire to have them. There are lots of great snakes you can own as a pet, but the vast majority of people do not have the knowledge, ability or resources to safely keep them in their homes. Despite the fact that Diamondback rattlesnakes (Western and Eastern species) are venomous, “very deadly” might be a bit of a stretch. With immediate medical attention, snake bites in the U.S. are rarely fatal. It does happen of course, but the vast majority of snake related fatalities could have, and should have been avoided. is snake #8 cut in half in the background ? Snakes_is_my_life, If you read below, you will see that number 8 is not a snakes at all, but a legless lizard. As a lizard, it not only has the ability to close its eyes, but also will “drop” its tail, as a defense mechanism to avoid capture and death. The animal photoed did exactly that, when my friend gently tried to pick it up. It is amazing how much of their body is made up of the tail! Really great article! I’ve been trying to convince my neighbors that snakes are not that bad. They all claim to have killed copperheads in their yards. While I don’t doubt the presence of copperheads in the neighborhood, I don’t think that ALL of these snakes were actually copperheads. I’ve counted 3 different species of snakes in my yard and none of them were copperheads! I had a nice conversation with a curator of herpetology at a local zoo who specialized in venomous snakes and he put things into perspective. He said that venomous snakes only have enough venom for their next meal, which is usually the size of a mouse. It doesn’t really want to waste it on you, but it will if it feels it’s a last resort! Thanks so much for the kind comments, and for sharing your experience. Education goes a long way to quieting fears and phobias, and one day your neighbor may thank you, for helping her overcome her fears of simply being in her own back yard. 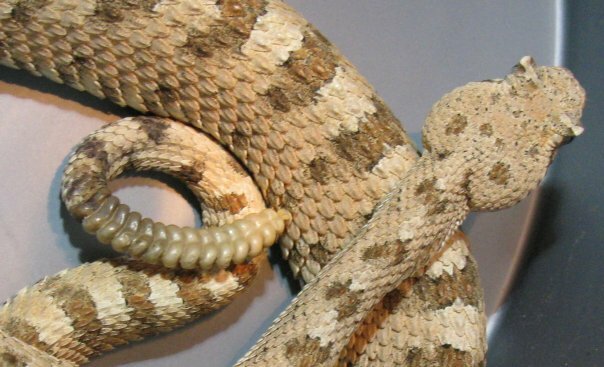 The vast majority of venomous snakes will attempt a handful of defenses prior to biting. Most of them will rely on camouflage and hiding first, then resort to fleeing. Next they may hiss or strike, and as you mentioned, their last resort is to bite. I spent a few years in close proximity to Copperheads, and saw them somewhat frequently. Not once, did I ever feel like I was in danger of being bitten. They simply don’t bite unless harassed or stepped on. Angela—that’s such a coincidence. EVERY SINGLE SNAKE killed in my neighborhood is EITHER a Cottonmouth OR a Water Moccasin. “It was a cottonmouth…or a water moccasin. So I kilt it!” Yeah… I know…. In attempting to defend your actions, you have inadvertently proven Angela’s point. She said that people in her neighborhood are needlessly killing every snake because they assume the snakes are venomous without actually knowing what kind of snakes they are killing. You claim that every snake in your neighborhood is a Cottonmouth or a Water Moccasin. The irony of your statement, is that Cottonmouths and Water Moccasins are the same exact snake, that just happens to have two common names… which you could have learned, if you had read the article that you just commented on. Perhaps that was also a coincidence?? 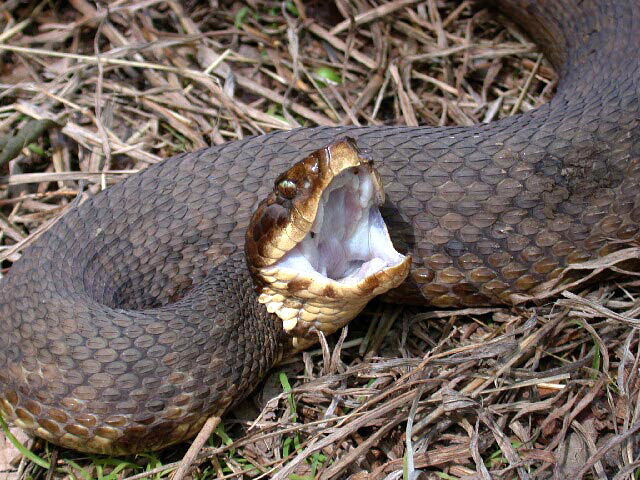 I assure you that there are more species of snake in your neighborhood than just the Cottonmouth. Many people mistake harmless snakes for venomous ones, which is precisely why we created this article. Honestly,i scored a 10.I was just refreshing my memory,thanks .! Anytime, Anthony! Glad to know that the harmless snakes are safe around you! Anytime, Anthony. Glad you found my article useful. This is a great article! I have been cleaning my large pond and encountered water snakes. I felt they weren’t poisonous but avoided them anyway. After reading your article I now know what to look for and realized that they are just Florida Water Snakes. I felt like I was back in school reading your website. Thanks Summer! I’ll take that as a compliment, and am always very pleased to hear that my articles may have saved people a little stress and fear, and also saved the lives of some snakes!! Thanks for the comment!! I have always been confused about identifying poisonous and harmless snakes. Your article was very clear and concise. If I understand it are you saying that the only poisonous snakes with rounded pupils are in the coral snake category? At least in Florida? But there are some harmless snakes with elliptical pupils but that I should look for pits, rattles and triangular heads in combination before I judge? That is more or less it. LOL In Florida, you do have all four families (Copperhead, Cottonmouth, Coral Snake, and Rattlesnake) of venomous snakes. Yes, the Coral Snake is the only venomous snake in North America with round pupils, and yes, there are harmless snakes with elliptical pupils. However, the majority of snakes you run into in Florida with elliptical pupils will be venomous. Honestly, one of the best things to do in your situation, is to do a web search for “Venomous snakes of Florida”, and spend some time studying these species. Your biggest challenge in the state, would be your ability to differentiate between the Cottonmouth and the various Water snake species. Thanks for your comments and questions. I sincerely appreciate your desire to know more about the snakes in your area, and am confident that you will find your efforts worthwhile. Great article, I feel bad for missing out on #6 and #10, I guessed them as venomous while they are harmless! I need more practice. This was a really interesting article! I missed #8 (I thought that picture looked weird, like the poor thing was cut in half! Shoulda guessed it was a trick question xD) and #10. I guessed venomous when they weren’t. But they’d still be safe from me, even if I suspected a snake might be venomous I’d just leave it alone and let it go on its way. I am trying to convince some family members to get close with snakes but they are to afraid. Is there any way I can slowly show them that snakes aren’t what they think? I have a red tail boa and a ball python but now one wants to be around them. I want them to experience the joy and thrill of being around them. I don’t want them scared and living with fear. That can be a tough one. Understanding snakes, is probably the greatest step in overcoming a fear of them, but if you are afraid of them to start, you won’t likely have much desire to learn more about them. I would suggest that you respect their boundaries and comfort zone, when you have your snakes out of their cages. Talk to your family, and demonstrate how at ease the snakes are when you hold them. Ask them if they will at least touch the tail of a snake, while you hold the head at a distance. Feeling a snakes skin, and feeling how they move can be intriguing enough to some people, that they start pushing their fear aside. I live with people that don’t like snakes, but they have at least become more tolerant of them. Well so you know. I feel the same as you. I love snakes and I respect them as well. I find their beauty irresistable, their strength and movement facinating, and know the risk. I went to a persons home and held one of his snakes. Must of been crazy, everyone was afraid, yet I could not help myself. The snake was incredible. I wished there was some one that vould have enjoyed it with me. I believe that fear is our enemy. Even with the risks, I was free with her. I believe if is meant to be then it is. This allows me to enjoy Gods creations. There are many experiences I have had due to not being afraid. As a child I held a baby cougar, it was bigger than me my siblings wouldn’t come close in the photo. Couldn’t understand. A friend recently found an owl in the road and was afraid of it. I picked it up no fear. It slept beside me for a short time. I talked to it for awhile then it flew away who does rhat? Is it insanity, a gift, or what.? Great article. I had a run in with a snake when i was mowing the lawn. It stuck his head up right in front of the mower. Unfortunately i panicked and ran it over. We have 3 dogs under 8 pounds and I didn’t want to take a chance. I felt terrible afterwards even though i was convinced it was a copperhead. It was a beautiful testament to nature’s glorious design. Now i feel even worse. From reading your blog i now know it was completely harmless. It looked exactly like the Lyre snake you posted 3rd pic from the top. Thanks for your post. I am definitely more informed and will hopefully be able to identify friend or foe next time. I got 10 out if 11 correct. I missed #11. Have you ever heard of a sidewinder being in Florida? From my understanding, they usually live in more of a desert climate. I recently saw what I thought was one at the bank of a very small brook. Part of of it was in the water and part on the shore so I couldn’t see his tail. The way it moved sideways when it went into the underbrush immediately made me think sidewinder and the fact that it lifted its head to look at me before it left and had “horns” or hooded eyelids and a very defined triangle head. I did not get close enough to see the pupils. The pattern was similar to the sidewinder and juvenile cottonmouth photos you posted but the snake was easily three or four foot long. It was huge! Most cottonmouths I’ve seen have must been adults because I thought they’re usually very dark in color (like the contrast photo you showed). My dog and I left without getting any closer and it didn’t bother us at all. I’ve just been curious about if it really could have been a sidewinder or even cottonmouth or just an imitation. Thanks for the message! Sidewinders absolutely do not naturally occur in Florida. It is possible that someone let one go there, but even then, it is not very suitable habitat for a Sidewinder. They do love hot, dry climates with lots of sand. The fact that you saw the snake by the brook, leads me to believe that it was very likely either a Cottonmouth or a Watersnake. Some watersnakes do have a fairly distinct pattern as adults as well. The horns over the eyes have me wondering, but without a photo it’s impossible for me to give you any better information. Keep a sharp eye out, and if you see it again, shoot us a picture. Thanks again, and have a great week! Jacquelyn, it sounds like your mystery snake isn’t a sidewinder, because the pit vipers all have “hooded” eyes, but only our sidewinder has distinct horns that stand up above the eyes. Also, you say that your snake was easily 3 to 4 feet long. 2 1/2 feet is gigantic for Crotalus cerastes, the Sidewinder, so that eliminates that one. I did see a video of a Gopher Snake sidewinding as it kept its eye on the camera. It was clumsy and slow compared to the swift grace of an actual Sidewinder, but it was definitely sidewinding. 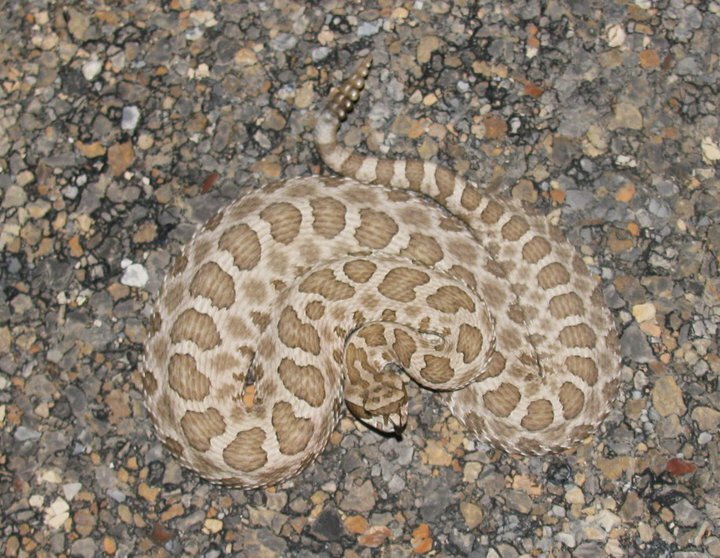 We have one true Sidewinder in the U.S. and it is a rattlesnake. In Arabia and Africa, there are other sidewinding vipers, but they aren’t rattlesnakes. LOVED IT most OTHER BLOGS GIVE ME A HEADACHE . THIS IS THE BEST.11+. It was not too long. Really awesome. Thanks Aiden! We appreciate the great feedback. Can you do another blog on identifying species of snake in all the world. I realized it will be entirely too long. If so, do one about snakes in north Texas. Aiden, as much as we would love to do that, it would take much more than our meager blog to do a good job of it. It would honestly take an entire book! The rules and guidelines we use in the U.S., and vastly different from what we would use in other countries. Rules here simply don’t apply elsewhere, which could lead to a lot of confusion and potential danger, in other parts of the world. It’s a great suggestion though, and one that I will keep locked in the back of my mind, if I ever have time to take on such a huge and exciting project. Is this just for the United States?North America? what about other parts of the americas? such as central and south? are there other species that make these rules ineffective there or do these rules only stop working once you start crossing oceans? Kylan, As mentioned in the article, this rule is specific only to the U.S., and even then, there are some exceptions. Please read the full article, and let us know if you still have questions. Nice, Deen! You’re very welcome! This was incredibly helpful! I grew up with a very snake-phobic mother and father, and was taught early on that you always run away, or if you can’t, kill it, regardless of what it looks like. I’ve slowly gotten better, and I find it fascinating when visiting our local zoo, that there’s a sense of fear you immediately get with the venomous snakes. I stumbled on your page, and it was incredible learning the finer points. We do live in Southern Ohio, and there’s been a few water moccasins, copperheads and other snakes found in our town, so I’m always a bit fearful when I see a snake. After this article, I can feel a little more confident in knowing if I need to back away immediately, or if I can back up a few steps and observe. Thank you! Good for you for trying to overcome your fear of all snakes by learning which ones actually might be dangerous. That’s correct, Irma. That is great information to spread locally, and it can save a lot of harmless snakes from the shovel. We appreciate your comment! I hate snakes with a passion. I saw a baby snake that was a solid grey and had little markings on its back like triangles…..I really hate snakes and do not understand why you like them…good luck to you and hope you never are bitten by one. Sharon. Snakes are not for everyone, and we can respect your feelings on the subject. Not long ago, I felt similarly toward arachnids. However, we have found that hatred, disgust and fear of certain animals is often the result of attitudes toward these animals being handed down from parents, other adults and the media. A little information and education has proven to help most willing people, to become more comfortable with these creatures. I admit that I am still more than a bit creeped out by centipedes, but I have gotten better with them, and now find myself observing and sometimes even getting very close to some spiders and even scorpions. The reality is that a hatred or fear of any animal is unhealthy for us, and harmful to the animals. They are here for a reason, and we would all be far worse off without these critters, than we are coexisting with them. We appreciate your concern, and though we do occasionally get bitten by a snake here or there, we have never been bitten by anything venomous, and we work very hard to ensure that we won’t be. Despite being around them on a very regular basis, they are simply not deserving of the reputation most people have given them. If you’re ever interested in learning more, or think it could be helpful to overcome some of those fears, don’t hesitate to reach out to us. I thoroughly enjoyed reading your article. I love snakes and found this info very helpful. I got a 9! Awesome Chelsea! Glad you enjoyed it! I’VE SEEN THIS SNAKE AROUND MY HOUSE AND AT THE FRONT DOOR a couple of times. Not sure from the photos whether it is harmless or not i have two phone photos. Where can i get n expert opinion on line? Roger, feel free to either send the photos to me at jamisonhensley@gmail.com, or post them to our Facebook page. We’ll get you the answer you are looking for. We just saw a milk snake on a dirt road here in Utah. Wrote down the markings and came to this sight to see if it was a Coral snake, which I now know aren’t native to Utah. Very informative material! and I only missed one on the quiz!!! Awesome, Tracey! Thanks for sharing your story, and we’re glad our article was useful to you. We are in Utah as well. Would you mind emailing us approximately where you saw the snake? We don’t like to publish specific locales publicly, since some people have a habit of using that information to poach snakes. We do however keep a record of sightings, and would love to add yours. You can email us at jamisonhensley@gmail.com. Loved this! Got them all, thank you!! Thank you for the detailed information! I feel that I can identify venomous and non-venomous snakes a lot better now. Susan, What a fantastic comment. We truly appreciate the great feedback, and the time you took to read that long article, and educate yourself. Comments like yours make all of our efforts worthwhile. Great article. Last week my son emailed a photo of a 12-inch snake he found in his backyard (Arkansas). I told him it was a beautiful speckled king snake. I referred him to your article which I came across earlier this year. We both agree that with this article you have provided an important service. An informed public is much better equipped to treat nature’s wildlife properly. Thanks. I normally don’t comment on random blogs but this was the most useful little snake lesson I have ever read. I was looking at snake stuff cause I was just looking at a snake outside my house for several minutes deciding if it was a rat snake or a copperhead. I knew I was right when I decided to let it live and watched it climb a tree. Now I feel much better equipped. Thanks! I wonder what snake we saw. It was in North Carolina at camp Lejeune. I was hunting with a Master Gunnery Sergeant and I was a Captain, The snake was on a wide trail and I was leading the “top” to a place where I had seen deer in the AM. This would have been around noon. I almost stepped on it and jumped back and knocked over the “top”. The snake was a rattler- large set of rattles. When the “Top” and I got reorganized, the snake was coiled and rattling just off the trail. There are a lot of snakes in that area and most are poison. (copperhead is most frequent and have se en 30 or so in a day). The snake in question was shiney black with a red cross on it’s head. It was the largest rattler I have ever seen. We studied it for maybe fifteen minutes. It was not aggressive nor did it try to escape. the head was the size of my fist (I am large man). We did not shoot it as we did not want to disturb deer. We left the area by map and compass. What did I see? Some say a canebrake rattler. but color and shape are not right. Too heavy in body. Hi Bill! We were initially thinking Canebrake as well, and while that is perhaps the most likely choice, it should be noted that our country’s largest species of rattlesnake (Eastern Diamondback) does exist in Southeastern North Carolina. The Eastern Diamondback can be a massive by rattlesnake standards, potentially reaching a length upwards of 8 feet! 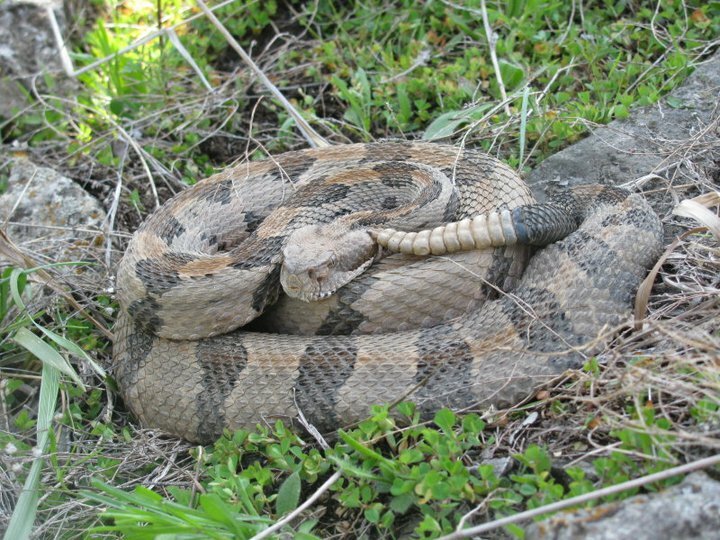 That said, the Canebrake (also known as the Timber Rattlesnake) can also get quite large, but appearance-wise, is one of the most variable rattlesnake species – especially in the East. It stands to reason that the specimen you saw might look drastically different from other examples you saw on-line. Without a photo, that’s about as good as we can do for you, but we hope that helps a little. Thanks so much for reaching out to us! Thanks for your prompt and intelligent reply. I have a little more info on that encounter. That was the largest rattlesnake I have ever seen anyplace. I did not see it’s full length as it was way wider than the trail (about five feet) and was coiled when we got reorganized. I had assumed the red cross on the top of the head would be species specific. I do read a lot about snakes. Never saw anything on red cross on head. This fellow was as big around as my thigh and there was no bulge from a recent meal. When coiled, I’d guess the coil was greater than 30″. The head at least a big as my fist. This whole thing happened in the 1970’s. I was reading yesterday that a rattler will go to a striking position with it’s head raised somewhat. This snake did not. It’s head was resting on it’s body. Very alert. The tone of the rattle (continuous) would vary audibly if we came closer or backed off even a foot. Showing it a stick, it kept it’s interest on a leg and not the stick. (The copperheads in the area would strike at a stick or a gun barrel). We left the area with map and compass so as to avoid that snake. We both had shotguns and did not shoot the snake — but we wished we had. We never hunted that area again. It was an area not much used for training or any other purpose. “RB” area. I never saw another black rattlesnake. I never saw one with the red cross. It was not aggressive but it held it’s ground. I was on pine straw and there was nothing to block our view of the thing. we studied it from a safe distance for maybe 15 minutes. I was considering having it stuffed for my office on base – but knew enough that you do not handle recently killed snakes. No cameras with us. They were big and bulky at that time. This was superb, sir. Thank you. That lyre snake fooled me. The head didn’t seem seem viper-like enough, but the eyes made me think it was probably some type of rattlesnake. I should have looked for the pits. Thanks for the kind feedback! You are very welcome. Got all correct, but even though I’m not totally a newbie and have encountered many snakes on my b’packing trips, I found your article very thorough and informative. I couldn’t identify all the ones not found in Texas but was able to tell the venomous from the non-venomous. One tool I use that often identifies a non-venomous snake is the black bars beneath the mouth. 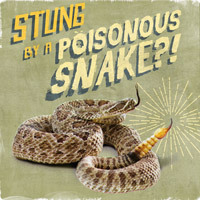 Of course not all harmless snakes have this but I don’t believe any venomous snakes in Texas have this characteristic. I also got all correct after reading your article. 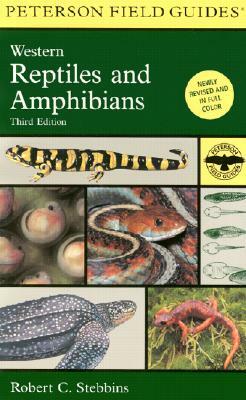 I have to say I’ve learned more about snakes reading this than most anything else I’ve read or watched on TV. Thank you for this information. I got here by trying to figure out what kind of snake we have that has been hanging around my work place, which is in the Houston, Texas area. I was able to determine after reading this it was non-venomous and identify it as a yellow belly water snake, not a Cottonmouth as some here suggested. I also want to say you are right that most snake bites if treated are not fatal. I can tell you as a medic who has seen several, that it’s very expensive and painful to get bit by a venomous snake, but you will survive if treated in time, and that most I’ve seen were because some “moron” decided to mess with it or move it. I had a patient one time that literally got off a horse to move a rattle snake, and got bit on his hand. (I know, I said what your probably thinking, really dude!) I have learned a lot more now on telling if they are dangerous or not. In the medical field when someone was bitten we would know if it was poisonous based on the bite mark. One or two puncture wounds meant venomous, several teeth like marks or in a U shape meant nonvenomous, and if they had any other symptoms besides just besides just being hysterical or crying. I really enjoyed reading this and will pass this along to my coworkers and my kids as well. I got a 10-1/2 on your quiz: I could tell #8 was harmless and thought it looked odd for a snake, but didn’t guess it was a lizard. Thank you for the article – I knew round pupils and tapered head doesn’t always mean harmless (eg, coral snakes), and triangular head and vertical pupils doesn’t always mean venomous (eg, pythons and boas), but it was useful to learn the specifics about US snakes! This is the best article I’ve found describing venomous/non venomous snakes and believe me, I’ve looked a lot. Thank you so much for sharing your knowledge and time. I’ve always been one that was scared of snakes, didn’t care if they weren’t poisonous. However, I’ve been letting all of the fellas in my flower beds and yard go in the last few months. I live on two acres in Texas, somewhat in the country and snakes are a pretty common occurrence around here. My tree trimmers killed about 10-15 Copperheads not long ago and my dogs grab snakes every now and then to play with, but end up killing them. I had a question about what kind one of the dog’s playmate was, but I can’t post a picture on here. With all of your identification rules, I now know it wasn’t poisonous. Thank you again for the great info!!! I think snakes are very cool because you can tell if they are venomous or not. Yes, they do. Their colors are more vivid and banded when they are young, but they are otherwise just smaller replicas of the adults. After a mild winter here near Charlotte, North Carolina, I have seen more snakes in my yard in the last two months then in all the eight years I’ve lived here. Your article is a lifesaver to me. I did well on the test, erring on the side of caution on two of the photographs. I’m saving your article so my husband can read it, as he so far has had the final say on the dispensation of snakes we find. I love your style of writing, thank you so much. What a wonderful article…I can’t thank you enough. Living in Southern Arizona with snakes as our continuous visitors I’ve had to educate myself through personal experience and reading as much as possible. I also have dogs on our property and keeping them safe is not easy. The local re-location agencies are fast and extremely knowledgable. Possibly you could suggest some way of determining which snakes are passing through and which have planted themselves too close. I realize this may be a difficult determination, however, it’s worth asking! I so admire all of these snakes and have come to respect and be grateful for them in my environment. Keeping them safe from ignorance (my own as well as visitors) is one of my goals…. Thank you once again for the best article on this subject I’ve come across in the last seven years of looking!